Start your year off right and stick to your New Year’s resolutions. Photo from Newport Wellness Week Facebook Page. We’re eighteen days in to the New Year. If your resolution to be fit, workout more and eat healthier is starting to crumble, we’ve got just the thing to help keep your bad habits at the curb. From January 19–25, take advantage of discounted classes, get a massage, participate in fun exercise-based activities and more during Newport Wellness Week. We’ve rounded up a few of our favorites, below. Knife Skills and Sharpening Class: Learn tips and tricks to make slicing, chopping and dicing during this practical hands-on class with Newport Cooks. Guests will also create a hearty vegetable stew and delicious butternut squash curry to eat in class. Plus, have two knives from your home sharpened. Jan. 24. 6–8:30 p.m. $70. Newport Cooks, 796 Aquidneck Ave., Middletown, 293-0740, newportcooks.com. Food Talk and Demonstration: Join local vegan and plant-based chef, Carmen Foy, at Stella Mare for a food discussion and demo. Topics include transitioning to a vegan/plant-based diet and the art of Umami. Plus, see a food demo on plant-based ceviche and more. Jan. 24. 6–7:30 p.m. Free. Stella Mare Wellness Center, 91 Long Wharf, Newport, 684-0908, stellamarewellness.com. YMCA Day: The Newport County YMCA is inviting new guests in for a free day pass. Shoot some hoops at the basketball court, swim a few laps in the pool, join a GroupX class and more. Mention Newport Wellness Week when you visit to take advantage of a free day at the gym. Jan. 19–25. Free. Newport County YMCA, 792 Valley Rd., Middletown, 847-9200, newportymca.org. Workout Class: Hop on a stationary bike and pedal to the metal for a fun and convenient session of cardio at Salt Cycle Studio. Your first class is free! All classes are designed for newbies and experienced riders alike. Through Jan. 25. Free. Salt Cycle Studio, 315 Main Rd., Tiverton, 816-0404, saltcyclestudios.com. Pilates: Join Studio 47 Pilates at NewportVineyards for a one-hour mat Pilates class followed by a wine tasting. 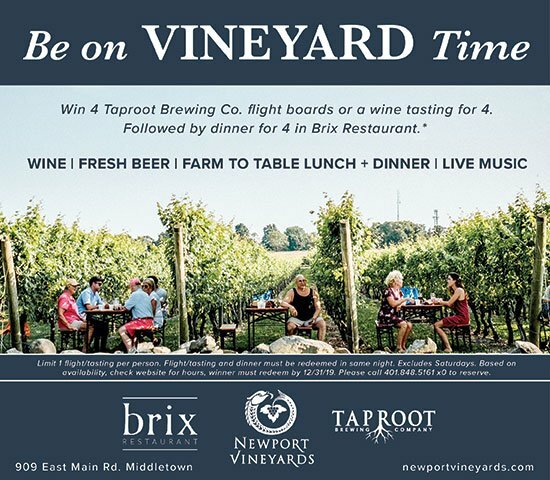 Then, grab a bite to eat at the vineyards restaurant, Brix, for a delicious meal from the locally sourced menu. 24. 6–8 p.m. $26. Newport Vineyards, 909 East Main Rd., Middletown, 848-5161, newportvineyards.com. Massage: The East Island Reserve Spa offers a cozy cottage setting for relaxation and rejuvenation. Both you and your partner can receive a sixty-minute massage that relieves tension and muscle aches. Plus, each massage comes with a complimentary glass of wine, tea or coffee. Sounds like a win-win to us! Through Jan. 27. $49 single massage, $105 couples massage. East Island Reserve Hotel, 985 East main Rd., 845-8300, eastislandreserve.com. Meditation: Close your eyes and find your inner Zen. Bring your own blanket or cushion and water for an hour-long silent meditation class. Jan. 23. 7–8 p.m. Free. Stella Mare Wellness Center, 91 Long Wharf, Newport, 684-0908, stellamarewellness.com. Energy Healing: Experience Seimei, a powerful Japanese art form of pain and stress relief. Plus meet Nicola Bertolo, the international director for the Hoju Shushu Hoju Kai organization and the highest-level Practitioner in the United States. Jan. 20. 1–3 p.m. Free. Stella Mare Wellness Center, 91 Long Wharf, Newport, 684-0908, stellamarewellness.com. Wellness Marketplace attendees can meet a variety of local health and wellness practitioners, nutritional coaches, fitness studio owners and trainers, yogis and wellness-related business owners. Enjoy healthy food and beverage samples and purchase wellness-related products and services, too. 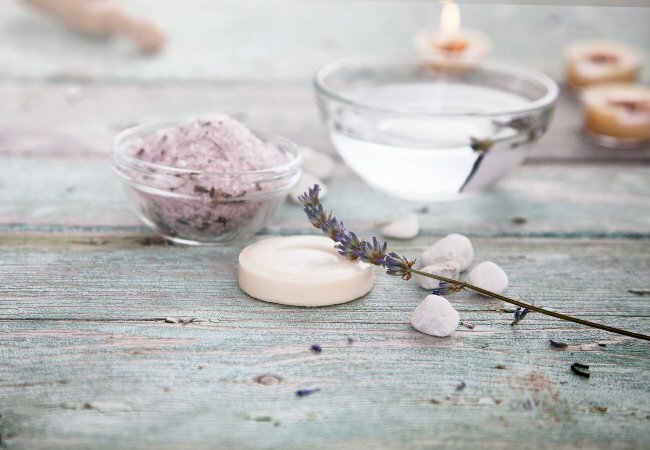 In addition, guests can take part in complimentary classes and demos, book a mini healing session, enjoy live music by Bradley Schmidt and even relax in a lounge space provided by Bohemian Bias. See a full list of New port Wellness Week events here.